Blog with advice and monthly specials on a more youthful appearance, anti-aging, and fat loss treatments. New services at Spa 35 Med Spa include Vaginal Laser Rejuvenation (not ThermiVa), Non Surgical Facelift with Profound, and PRP (Platelet Rich Plasma). Read Spa 35 Google Reviews for Insight on How Our Customers Feel about their experience at Spa 35 Med Spa. We are Experts at rejuvenating your skin and body with more than ten years experience with CoolSculpting (not SmartLipo), IPL (Intense-Pulsed-Light), Botox, Juvederm. Remove or Reduce Wrinkles, Lines, Loose Sagging Skin, Redness, Extra Fat. Get long lashes. Boise, Meridian, Eagle, Sun Valley Idaho, Spa-Thirty-Five. 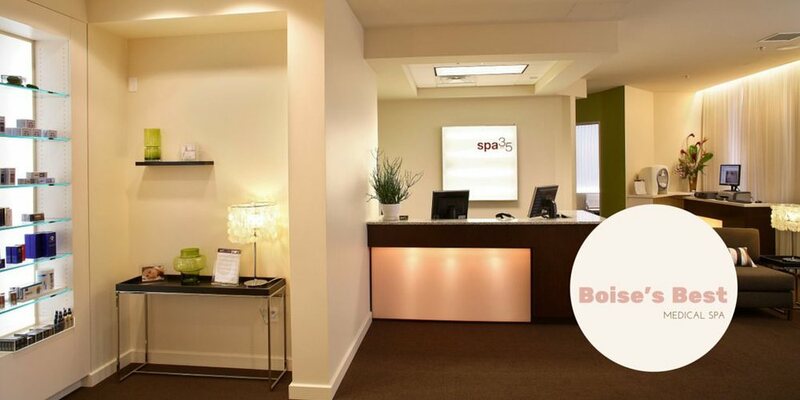 Boise's Best Medical Spa Blog. Latest news, opinions and aesthetic developments on looking your best and "Feeling 35 For Life"! Read The Latest Articles On Looking And Feeling Your Best In The Spa 35 FlipBoard Magazine. Botox and Juvederm are two of the most common cosmetic treatments delivered to people looking to erase the signs of aging. At Spa 35 we've been performing these services for twelve years. Many of our "veteran" clients and a large percentage of people new to non-surgical anti-aging interventions have questions and misconceptions about these services. This post is a high level overview of the different mechanisms of action of neurotoxins (i.e. Botox, Dysport, Xeomin) and dermal fillers (i.e. Juvederm, Restylane, etc.) to help consumers understand the differences and appropriate uses of each service. Botox is the most commonly used non-surgical treatment to combat the signs of aging. It is a neuro-regulator or neurotoxin that blocks the activation of muscles in the area surrounding the injection site. Crow's feet are a common sign of aging that are treated with Botox. Crow's feet are dynamic wrinkles caused by the contraction of muscles around the eyes. Other common treatment areas are between the eyes and the forehead. Botox is sold by the injected unit. Most people get between 30 and 60 units. Treatments vary by the number of areas treated, the size of the muscles being relaxed and other factors. The effects of Botox typically last about three months, after which re-treatment is required to maintain cosmetic results. Dermal fillers replace volume loss in skin and fat pads in the face that occurs as we age, improving the appearance of deep lines and folds on the face. An analogy I like to use is the overnight changes seen in a helium balloon. When a helium balloon is early in it's life it is taught with a smooth surface. But the next morning, as helium escapes and it loses volume, the surface of the balloon becomes wrinkled. A very similar action occurs in our faces. Dermal fillers, such as Juvederm, Restylane and Voluma, replace some of the lost volume in our skin and fat pads to more closely resemble how our younger skin and underlying anatomy. Dermal fillers, such as Juvederm, are sold by the injected syringe. The recommended number of syringes can vary widely, and is usually between 1 and 6. The visual changes created by dermal fillers typically last four to twelve months, though some last longer. Usually Botox and other wrinkle relaxers (i.e. Dysport, Xeomin) are used in the upper face, and Juvederm and other dermal fillers (i.e. Restylane) are used in the lower face. The image above illustrates some common areas treated with both types of cosmetic products. Wrinkle relaxers and dermal fillers are great foundational services to decrease common signs of aging, such as wrinkles and folds. Your cosmetic concerns, goals and budget should guide the selection and prioritization of these services. 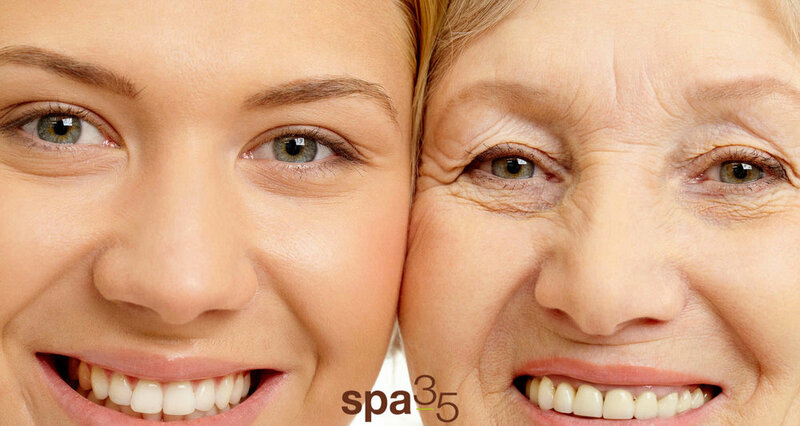 Feel free to contact Spa 35 Med Spa for a complimentary consultation to see what services best fit your needs.